For the 12th consecutive year, Montecito Bank & Trust kicked off Thanksgiving week with $1 million in corporate gifts to regional nonprofits. He said that part of the motivation for creating the Community Dividends program was to set an example for corporate philanthropy. “We want to encourage others to follow in our footsteps,” said Towbes. Towbes and his board created the Community Dividends program shortly after Montecito Bank & Trust converted to a Subchapter S ownership structure which allows companies to pass profits along to their owners. By giving a portion of its profits directly to nonprofits, the donations are made in a tax-efficient way. 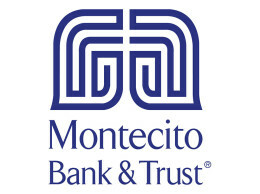 Montecito Bank & Trust President Janet Garufis said the original design was to present 100 checks for $10,000 at the luncheon whose purpose was not announced to the recipients. “Nobody knew why they were coming,” she recalled. 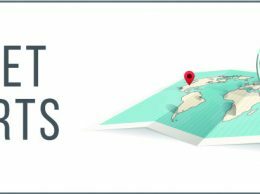 Over the years, the bank has moved away from the idea of presenting a fixed amount to each recipient and now provides gifts of variable amounts to a larger number of organizations. This year, she said, 341 organizations applied for funding through Community Dividends. About 300 people attended the luncheon, including Cottage Health System CEO Ron Werft, Sansum Clinic CEO Dr. Kurt Ransohoff, Santa Barbara Foundation President Ron Gallo and Chris Kimball, president of California Lutheran University.